Every gamer can easily customize every individual key as hot key to personalize his own play style, greatly increase the convenience on key usage. 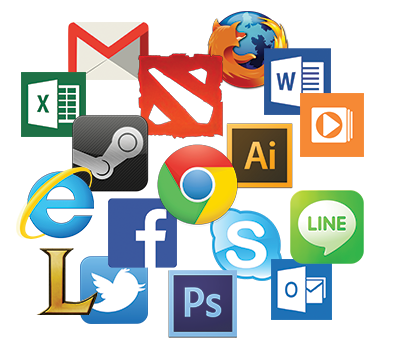 Gamers can freely choose any key as launch application button, no longer need to click the mouse for Apps start. 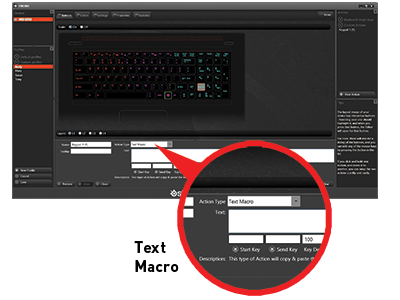 There are virtually unlimited keypress macro creation capabilities. 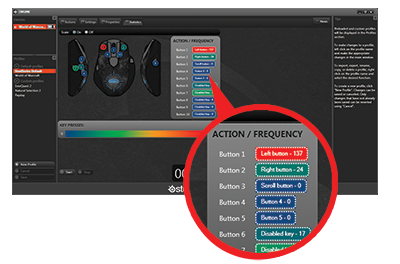 Anything you can do on a mouse or a keyboard can be programmed along with specific event timing. You can even program mouse events into keyboard macros. 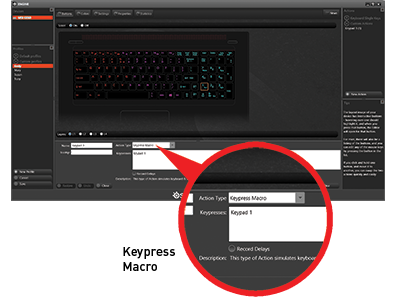 Your macros will be running at a high priority in your computers Operating System, yet it does NOT interfere with your real time actions during gameplay. 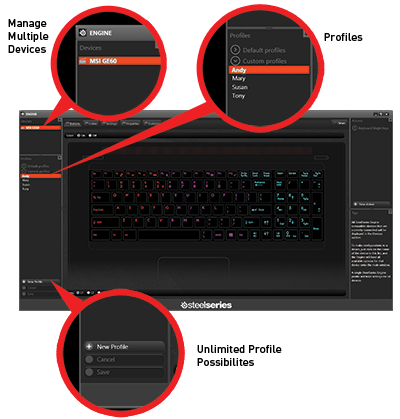 Besides keypress macro, SteelSeries Engine also can create the text macro for gamers' talk. By this way, gamers can have simultaneously multi-party conversation and do not waste time in doing repetitive typing. 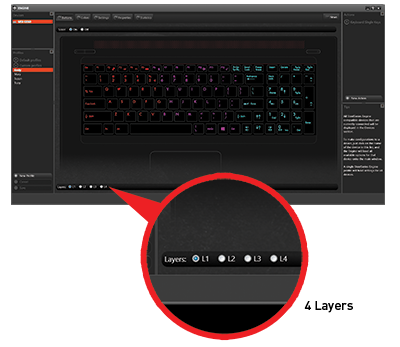 SteelSeries Engine will automatically recognize what game you are playing and open your saved profile(s) for that game. 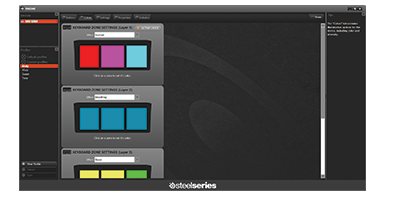 You can create your own profiles for other applications and then have SteelSeries Engine open the corresponding profile when you start up your application.